Come join us in Ann Arbor, MI for the 2013 Summer Institute of the Linguistic Society of America. You can follow the institute on facebook. Victor Ferreira and I will be organizing a workshop on How the brain accommodates variability in linguistic representations (more on that soonish). I will be teaching a class on regression and mixed models and I am sure a bunch of other folks from the lab will be there, too. This entry was posted in class/tutorial, For students, HLP lab, Statistics & Methodology, statistics/R, workshop and tagged 2013, LSA, summer institute, workshop. LSA 2011 at Boulder: Yeah! 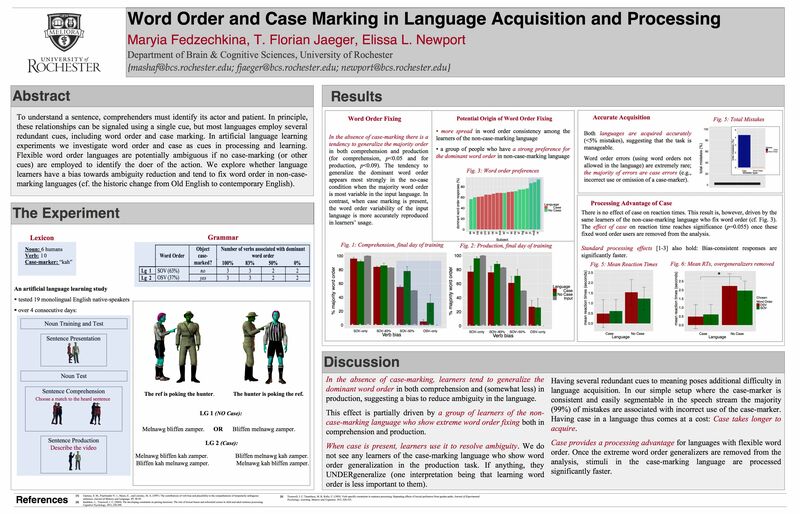 This entry was posted in class/tutorial, For students, HLP lab and tagged computational psycholinguistics, LSA, psycholinguistics.